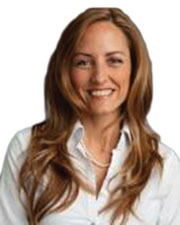 Executive of the Month: Donna Sirianni, founder/CEO of Moving Forward Seminars: Perspective. Clarity. Momentum. New York, NY Donna Sirianni, founder/CEO of Moving Forward Seminars, recently sat down with the New York Real Estate Journal for a question and answer session. Q: What led you to start Moving Forward Seminars? Q: Where are you currently in the phase of your business? A: Growing! Instead of talking to you about my achievements, I’m more interested in connecting to others out there who are either just starting out or are in the beginning growth phase of their business. I get it…there is something in us that says I know I have more to offer, that I can build more, serve more - and that I have to make this happen. There WILL be obstacles, there WILL be people who say it isn’t possible and there WILL be let downs - deals that you thought were going to happen, but didn’t. But as long as you keep moving forward, all those unwanting circumstances will be part of your brilliant story one day! It’s just part of the process…look at anyone who has “made it”- no one says I’m going to start a business and the following day they achieved everything they wanted. It’s a journey…and you have to have your “why” and the mindset to be tough and push through no matter what. Q: What are three key beliefs or practices that have been helping you grow your business, which in turn is helping others to grow theirs? A: First, I’d say building relationships, real ones. I’m not doing this alone. It is through the generous people I have met who have seen my passion and what I’m doing, who would introduce me to different people. And vice versa - I love helping others and finding people who I can connect them to in order to help them as well. Second, being authentic. I am who I am. You get to a certain age (I’m 48…yes I’m telling you and owning it lol) where hopefully you become comfortable in your own skin. I have nothing to hide and am an open book- why be anything other than yourself? Then when someone wants to work with you, it’s because they want to work with YOU and what YOU have to offer, authentically. And lastly, offering services that create positive change in people. I love what I do and am honored to serve and be a part of peoples’ journeys who are looking to create something more for themselves - who are taking that risk and making things happen. and Beth Donner of Beth Donner Design being led by Donna Sirianni. Q: What made you focus on the real estate business and create “The Real Estate Power Program?” What do you feel is the “x-factor” that you provide? A: There is an extra advantage in real estate for agents because they have the best of both worlds. They are independent, yet they have the backing and resources of the company and broker. Most often, companies provide great real estate training for their people - and I ask “Wouldn’t it be great if everything you taught them about real estate they actually applied?” That’s where I come in - I help them get out of their own way. The seminars are designed to be ultra-specific for each person attending. That’s our “x” factor. That’s where my experience in the designing of curriculum and creating full engagement comes into play. If I am conducting one of my seminar topics like “Kicking Stress to the Curb in Your Real Estate Business!” the participants will be led through a series of activities, reflections and visualizations that are connected to THEIR specific challenges in the area of stress that THEY have identified for themselves. So nothing I do is presenting general information - it’s all about getting real and the participants making their own shifts DURING the seminar so they walk away already having created new perspectives and beliefs that will serve them in both their lives and business. Q: We understand that you like to work with sponsors in providing your program to real estate offices. How does that work and what does your term “involved sponsorship” mean? A: I collaborate with the real estate office as I understand that companies and offices already have relationships with certain people. So I first ask if there is anyone who your office works with who you think would like to interact with the agents on a more consistent and in-depth basis in order to strengthen their relationships? If yes, we talk to them about being a part of the program. There are five sponsorship spots per program available on each “Real Estate Sponsorship Power Team.” I also have businesses I work with who are looking to be involved with real estate agents, so if we have more open spots on a team, I would run it past the office until we created a solid power team for the program without any sponsorship conflicts. We work it out together so all parties are satisfied. I created “involved sponsorship” because those sponsors are growing their business just like me and just like the agents. We ALL have that in common and we ALL have the opportunity to give back and help each other during the program. I didn’t want them to write a check, sit in the back of the room and then talk for five minutes at the end. Since what I teach in our seminars can be applied across all fields of business, I have the sponsors TAKE the seminars with the agents. This provides the agents and sponsors the framework and opportunity to authentically get to know each other and exchange ideas instead of just handing out some cards. Bonds are created and the concept of giving instead of asking is the theme that runs throughout the seminar program. There are a number of other situations I create for the sponsors to be involved with the agents. One of them is going to a charity event together as a group or volunteering together, so that the agents and sponsors from real estate related fields are side by side giving back to the community. That creates a bond that goes well beyond business. Joseph Beige of Jack Stewart Beige and Associates, PC. Q: Terrific! To wrap this up, what are some specifics on “The Real Estate Power Program” and how can real estate companies, both national and independent as well as sponsors get in touch with you to get involved? A: An office can sign up for a six-month or 12-month program and choose from a list of power topics. I go to the real estate office to conduct an interactive seminar once a month for 90 minutes for their agents. This often helps the real estate manager continue momentum in their office, especially after sending their agents through their own company training. It helps to maintain that positive culture and teachings going forward. You can give our office a call at (516) 308-7783 to set up a discovery meeting or email me at Donna@MovingForwardSeminars.com. You can also visit our website at www.MovingForwardSemianrs.com We will be happy to custom tailor a program just for you.